Last month I mentioned: "I didn't expect to see a merger between a conventional underground miner and an ISR producer. I'm looking into the synergies of this merger, from mining process to geographical cost savings, to write about later." After a month of breaking down why these two emerging uranium producers want to merge, why now, and how this deal works for investors of both companies, I think I now get it. This seemingly odd couple at first has big plans together. 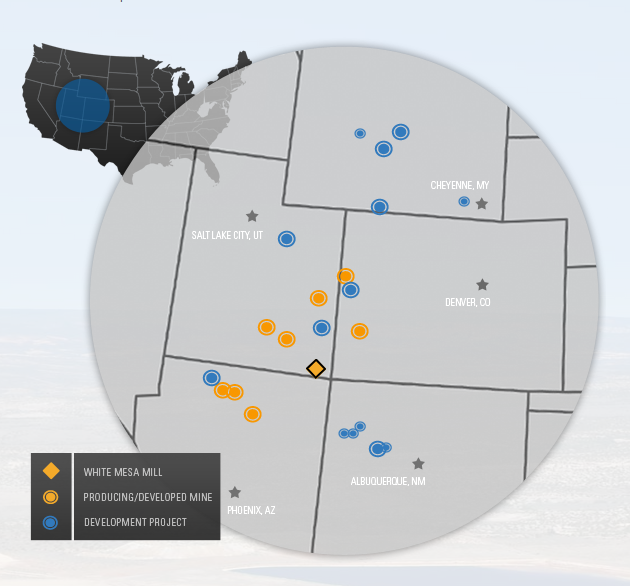 (AMEX: URZ)(TSX: URZ) Uranerz Energy owns and operates America's newest uranium mine, called the Nichols Ranch project. This In-Situ-Recovery (ISR) mine is located in the heart of Wyoming's Powder River Basin (PRB), a mining district that produces about half of all uranium produced in the U.S. Uranerz has explored only 6 of its 30 PRB projects so far, covering an area of ~73K acres surrounded by major producers (NYSE: CCJ)(TSX: CCO) Cameco and Uranium One. ISR economic advantages over conventional mining may include faster permitting, lower mine construction costs, lower operating costs, to even lower reclamation costs when the mine eventually closes. In addition to being a cost effective mining method, sandstone hosted ISR uranium deposits typically found in the PRB are also simpler, safer and more environmentally friendly to mine. Uranerz' management team specializes in ISR mining, with an enviable track record of finding ISR amenable resources, and in permitting, funding, constructing and operating successful ISR mines. Late in 2010 I started writing about URZ as I saw this growth template about to repeat, after it established uranium resources and with the company awaiting permits to build its first mine. Uranium stocks were trending higher back then and URZ was one of the best performers, doubling to ~$6 a share over the next two months. Just prior to Japan's March 11, 2011 9.0 earthquake and tsunami, Uranerz raised ~$32M in equity to fund the majority of its mine construction costs. Good management tends to have good timing, which saved URZ investors from lots of extra share dilution—uranium stocks still trade at only a fraction of their value prior to the Fukushima Daiichi nuclear accident. Uranerz' Nichols Ranch mine started operating last April and has produced ~200K pounds of U3O8 in H2-2014. The mine is licensed for up to 2Mlbs. per year and is still ramping up production. The company has long-term contracts to supply two major U.S. power utilities, signed when uranium prices were around $60/lb. and providing a substantial premium margin over today's $38 spot price. The question is what will Uranerz do with any extra uranium, beyond that needed to supply its premium sales contracts? They can sell into the spot market at lower prices currently, or build an inventory and speculate on higher prices—which many do expect, me included. In any event growing mining companies need timely capital when building new mines, either from profitable sales or other forms of capital. This is the "why" and "why now" a merger makes sense. Like Uranerz, Energy Fuels also has long-term premium sales contracts with U.S. power utilities. For 2015 they have to supply ~800Klbs. of U3O8 as production declines at its only operating mine—called Pinenut, located in northern Arizona. After perhaps some ~100K-200K more pounds over the next quarter, uranium production at this high-grade breccia pipe deposit mine is scheduled to shut down by mid year. Fortunately Energy Fuels does have other high-grade, low-cost, production-ready mines and materials nearby to transition to; read yesterday's news release: "Energy Fuels Acquires 50% Interest in the High-Grade Wate Uranium Project in Arizona", and on February 6th, "Energy Fuels Prepares to Resume Development at High-Grade Canyon Uranium Mine; Update on Pinenut and Alternate Feed Materials". Energy Fuels' website details huge measured and indicated resources of ~127Mlbs. of U3O8, providing lots of production to rely on as prices move higher. However, building more or expanded underground uranium mines takes time and is currently not that profitable. Some suggest that UUUU simply buy uranium in the spot market to sell into its sales contracts at a profit. My understanding is that only a portion of these sales can come from anything other than the company's own mining activities. Uranerz Energy wants to ramp up uranium production beyond the levels of its own sales contacts. Energy Fuels has more contracted sales than its current production can meet. Instead of both companies waiting for higher uranium prices, a merger helps Uranerz expand its lower-cost ISR mining operations faster, which also helps Energy Fuels meet its supply commitments. To be the largest publicly-traded uranium company by market capitalization operationally focused and listed in the U.S.
As a larger integrated uranium producer, a merged company will have a diversified portfolio of uranium assets over several western U.S. states that can employ conventional or ISR mining as needed. Economies of scale positions a merged company to better compete with major producers, and attracts more attention from analysts, institutional investors, ETFs and market cap weighted indexes. Out of only six publicly-traded uranium-focused producers worldwide, a merged Uranerz Energy and Energy Fuels becomes just the third company with the expertise to mine, and the facilities to process, both ISR and conventional resources. A larger merged company can usually raise capital easier, faster and on more favorable terms, as needed to expand exploration or production, or to take advantage of low priced assets. More resources and production means a merged company can negotiate larger sales agreements with additional power utilities, to lock in higher prices. A merged company will have more flexibility to grow while also better protecting its balance sheet, with more low-cost ISR production when prices are low and by levering its larger conventional mines when prices are high. Lack of UUUU/URZ excitement after the January 5th merger news makes me wonder who else gets the big picture? As for the nine URZ lawsuits announced, try and find any merger these days without lawsuits. Under this all-stock deal URZ shareholders are set to receive a 37% premium equal to 55% of the merged company. Why sue Uranerz? Could this have anything to do with its U.S. based head-office whereas Energy Fuels' head-office is in Canada? What percentage of these template lawsuits go to court, or are settled, and even if they win do shareholders ever get paid or are they just legal fee shakedowns? 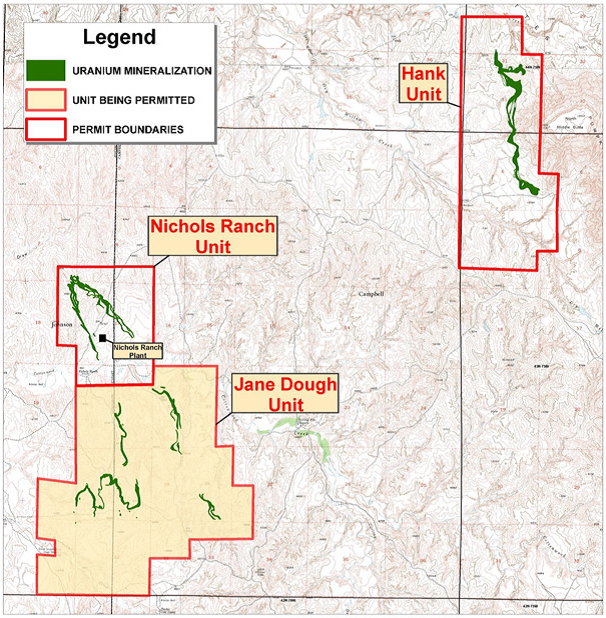 Uranerz Energy is obviously confident about this merger happening; read today's news release: "Uranerz Announces Mine Wellfield Expansion Activities at Nichols Ranch". The company recently expanded the wellfield at header house #4 by another 19 injection and recovery wells, which are now in service. Planned Q2 expansion will come from a fifth header house that starts construction next week, with its 90 production well installations already underway. A sixth header house and its production wells are also expected to be installed later this year. This merger seems like a done deal.